I ordered something from Amazon on Monday. Because I have Prime, some of the order was here Tuesday, and the rest arrived this morning. What was ordered is quite boring (a few board games), but it was the box it came in that intrigued me. A white box with the words #LoveIn3Words. That was perfect post inspiration! As you can see, I couldn’t narrow it down to just three words so I settled for three lines. I don’t know what I’d do without my family. Actually, I probably wouldn’t be here! I hate the expression, but they are my rock. I might not always show it, but I appreciate every measly task they do for me. It’s not much, but a huge THANK YOU! 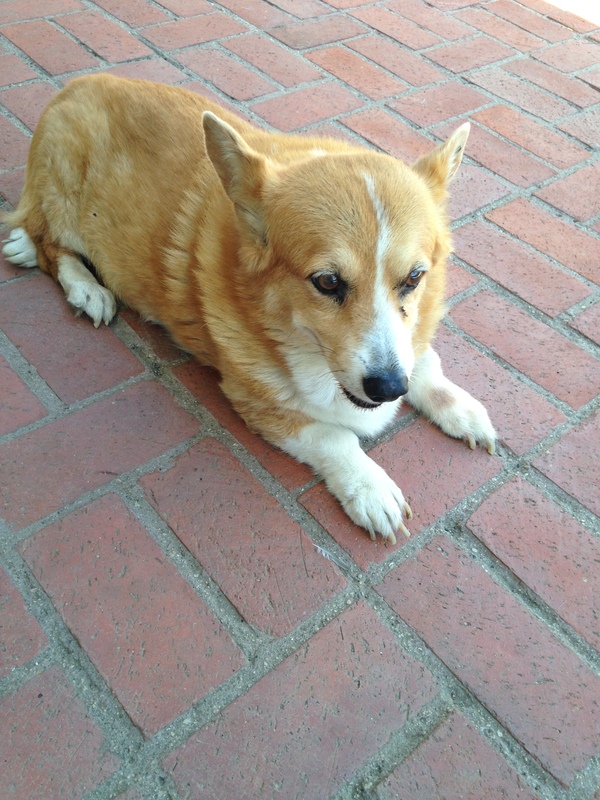 You already know that I am the mother of a ten-year-old Corgi named Maggie. But we also have a family dog—Wayne, also a Corgi. You didn’t read his name wrong. His name is actually Wayne. The name is courtesy of my middle sister, Sarah, which really explains some things. When I got Maggie, the breeder said that though Wayne was older, when she grew up, my dog would rule the roost. He said females are just more dominant. Dad said that was just like people. And there was a huge eye roll, probably, and an Oh please from Mom. But what Bill, the breeder, said is completely true. Of the two dogs, Maggie is definitely in charge. As they got older, Wayne spent more and more time sunning himself in the Southern California sunshine. Coincidence? I think not. Wayne is now thirteen. He is now thirteen and a half, actually. My jaw drops whenever I see this saint of a dog. He is now elderly. When I look at him now I see a dog who limps and is extremely slow moving because of a bad foot. I can hardly talk about it, but when he is in doggie heaven I hope I remember him as the rambunctious little puppy amusing himself by tossing pebbles to himself, not a deaf dog who has a hard time walking. He is my daily reminder that time marches on. That, and what unconditional love looks like: Maybe not perfect, but just right. Every kid has done the “My Hero” essay in elementary school. I know I did, but elementary school was over twenty years ago and for the life of me I can’t remember who I picked. Some hero, huh? It was most likely a celebrity, or at least somebody well known. I have grown up, obviously, since then. I realize now that my true hero was, and still is, Linda Tharp, my mother. Mom shaped me into who I am today: take no guff from anybody, but have a softer side. I got away with nothing as a kid. 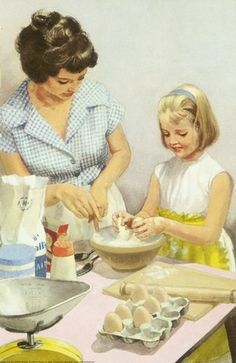 Between she and Dad, I remember spending a lot of time in my room, but the next day I would come home from school and the house would have a chocolaty aroma, brownies or chocolate chip cookies cooling on the counter. But my favorite memory was in the summer of 1998. I was in the hospital recovering from a brain injury the doctors still can’t explain. Technically I was in a coma, but my brain was working like it always had. Mom and Dad came every day, Mom taking the morning shift. She would talk to me like as she always has, just filling me on the news at home or reading the newspaper. It was such a comfort. I just wish I could be Mom (at least to a human child, you’ll meet Maggie next) so I could show my daughter the type of love my mother has showed me.